Invite your one best friend, your whole circle of gal pals, your mom, or other moms to our fun-filled Fall Girlfriends Weekend Getaway at Nova’s Scotia’s Fox Harb’r Resort, November 1-3, 2019. Unwind together and with fitness classes. Put on a Frette robe and settle in to all-suite accommodation. Reconnect over gourmet meals, with no dishes to do or beds to make. It’s the perfect catch-up session, ladies. 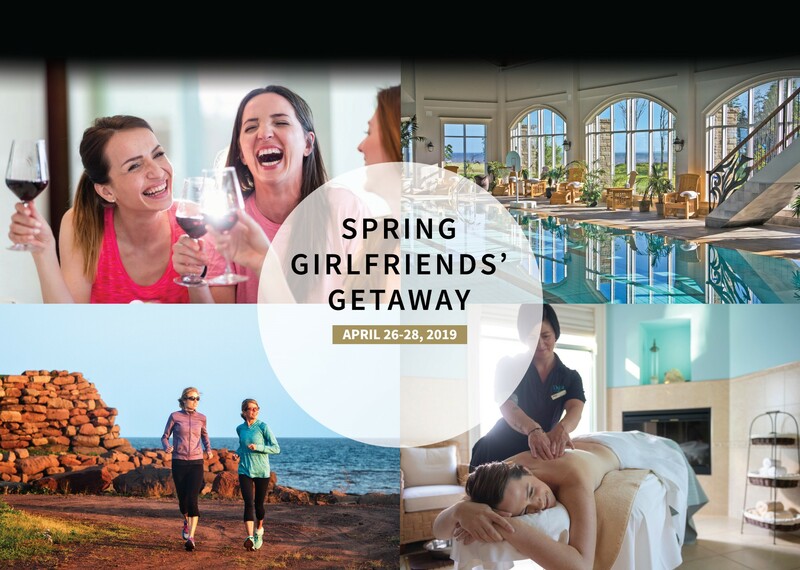 Along with energizing fitness, dance and yoga sessions, this complete Fox Harb’r Spring Girlfriends Weekend Getaway includes lots of options for making the most of your free time, together. Take a complimentary bike ride on the oceanside Fox Trot Trail, or use our Google map to must-visit local stops for Northumberland Shore wine, crafts and chocolate. Simply click or call, then pack and come relax. Check our full Fall 2019 Girlfriends Getaway Weekend Getaway schedule. And don’t forget to book your appointments at our award-winning Fox Harb’r Resort spa too (additional fees apply). Offered November 1-3, 2019. Space is limited and the Fox Harb’r Resort Girlfriends Weekend Getaway has a history of selling out. So, book your getaway now. Package from $425 per person for 2 nights, based on double occupancy in a Studio Suite or 5 girlfriends’ sharing a luxurious 3-bedroom Townhome. Great vacations begin at Fox Harb’r and your perfect getaway is just a click away. To make your Fox Harb’r reservation, book online or call Resort Reservations at 1.866.257.1801. *Offer is subject to availability and based on double occupancy. Not valid in conjunction with other offers. Not applicable to groups. Rates and inclusions are subject to change.